After Faith was sent to Jersey she didn't take back to the show ring in the UK, so she has gone to live with a wonderful couple in Halifax with Mr & Mrs Wadsworth and we wish her all the love in the world, good luck Faith we love and miss you so much x.
Lewis will be campaigned by our very good friends Sarah & Steve Crisford (Rokushii Akitas). 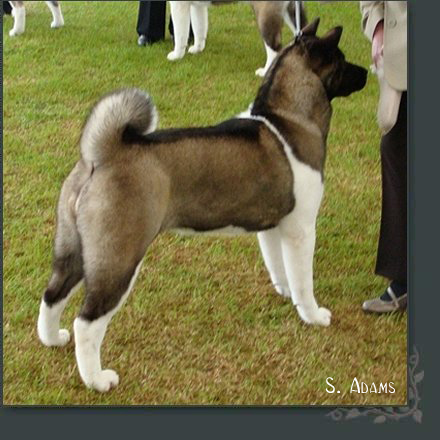 Lewis is litter sister to Australian Champion Danti Down Under at Goodomen. 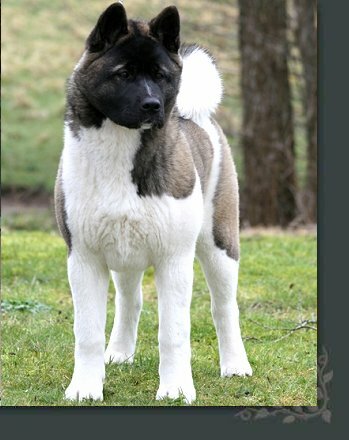 We wish Sarah & Steve all the best of luck with this handsome boy!! his 1st RCC. We would like to congratulate you both for all your hard work and dedication. Svea is owned by our good friend Malin Ohlsson in Sweden. 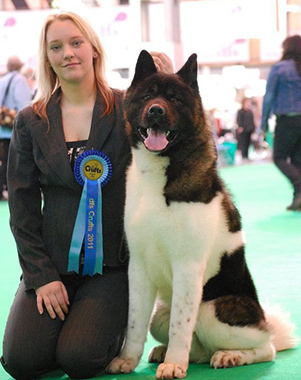 Svea is one luck girl to have such a great owner. 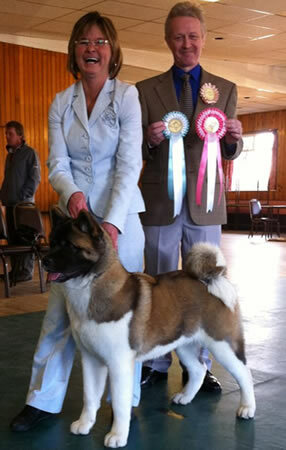 Svea is still only a baby and has numerous Best Puppy In Breed and Groups with Best In Shows Placing. We are sure Malin and Svea will have a great future. Jasmine is already a Res Green Star Winner. 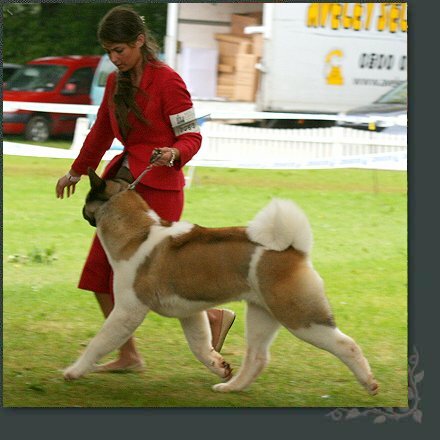 Tara is owned by our very good friend Gloria Townsend and husband Norman (Goodomen Akitas). A very close friendship has been made across so many miles. Taking a big decision to send a baby so far was not an easy one, but we couldn't have wished for a nicer home for Tara. 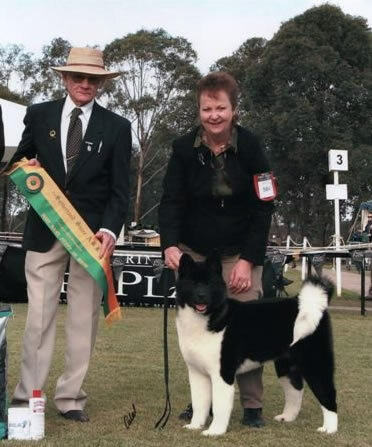 Tara is handled to perfection by a very special lady Trudy Van Gester, Trudy and Tara have already hit the Australian circuit with a bang, after only 3 weekends of showing they have various Best Baby In Group awards and 3 Best Baby In Shows. We couldn't be more proud. We wish everyone involved in Australia with Tara all the very best and look forward to seeing her mature. 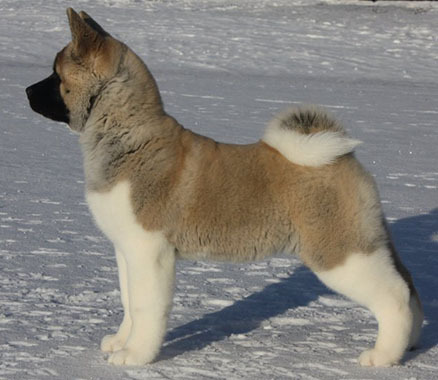 Tara is 5 1/2 months old in below pic. 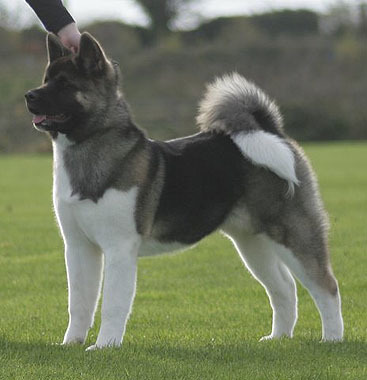 Kayla is owned by our very good friends Linn Alrid from Libesol Akitas in Norway. 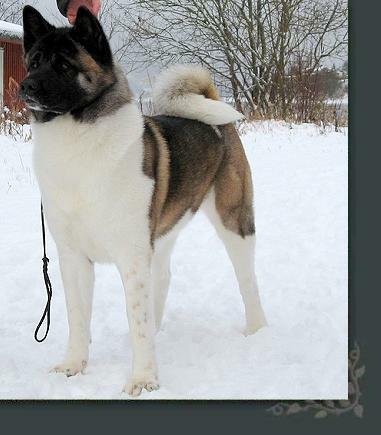 Jordan is now owned and shown by John and Veronica Martinssen in Sweden. What this space for further details of Jordan show career. 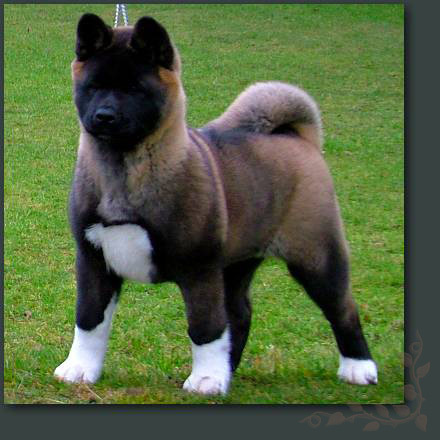 Mason is now co-owned with Faye Bevis (Stecal) & Keith Venezia (Nakodo Akita’s). about his show wins in the USA. Chase is owned by our very good friends Steve, Elif & Erin Bell. 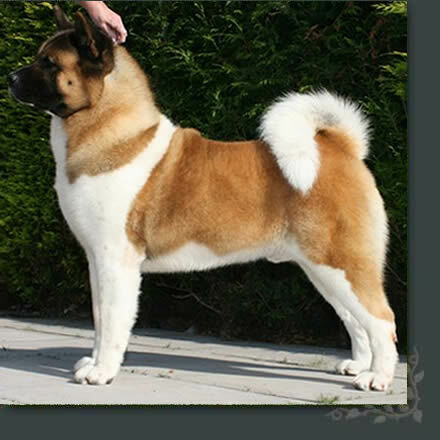 He has done extremely well in the ring and earned his stud book number in 2006. 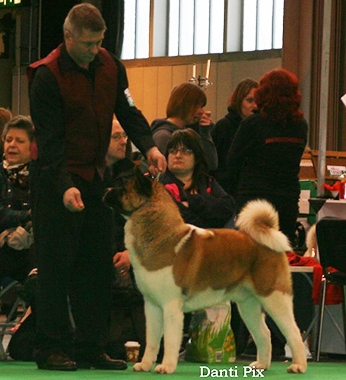 Bella is owned by Jan & Colin Page. 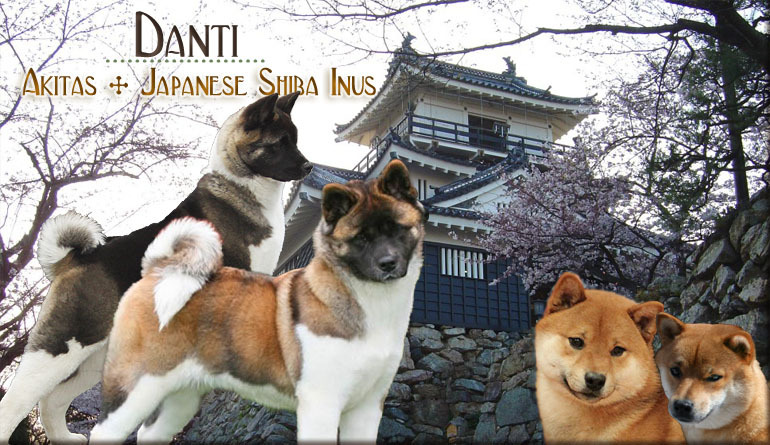 Danti’s Living Legend by Stecal (Mason) will be campaigned early in 2008.
placings and a Best Puppy in Breed. Megan is now back home at Danti.